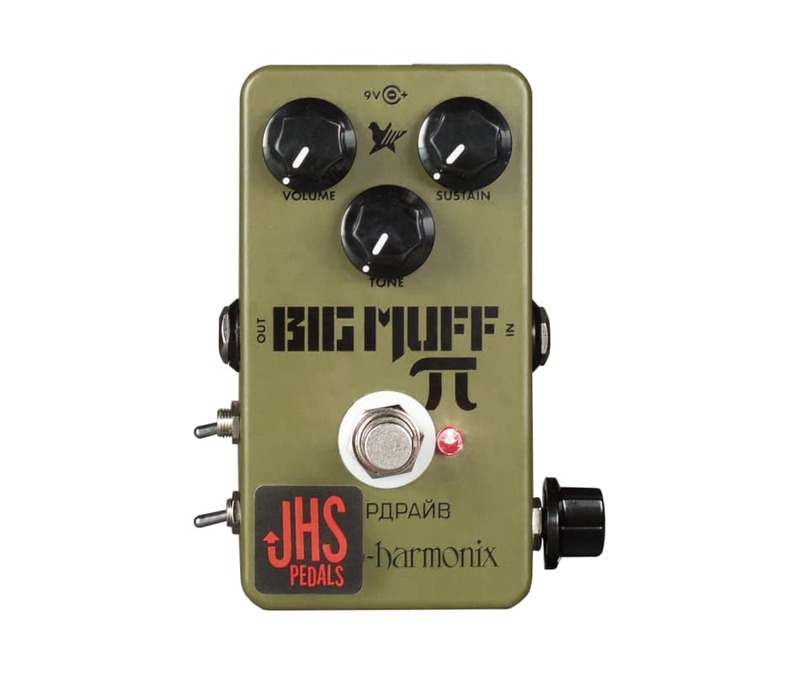 EHX has released another classic Big Muff in the Green Russian, and we want to take it a step further. Weve created a mod that turns this classic fuzz/overdrive into a tone machine. On the left side of the pedal weve added two toggles, the lower toggle is the Mode toggle, and the upper toggle is the +/- toggle. The Mode toggle has three positions: down is Mode 1, middle is off or stock mode, and up is Mode 2. When in the stock position none of the other modifications will affect the sound. When in Mode 1 you will have a lower gain synth style gated fuzz sound. Experiment with all the knobs to see what kind of sounds you can get. When in Mode 2, you have a high gain synth fuzz sound that will give you crazy oscillation sounds that are affected by putting all the knobs at different settings. The +/-toggle does what it sounds like... gives you less or more! This mod goes from 60s classic rock vintage fuzz all the way to face melting modern sludge metal tones!